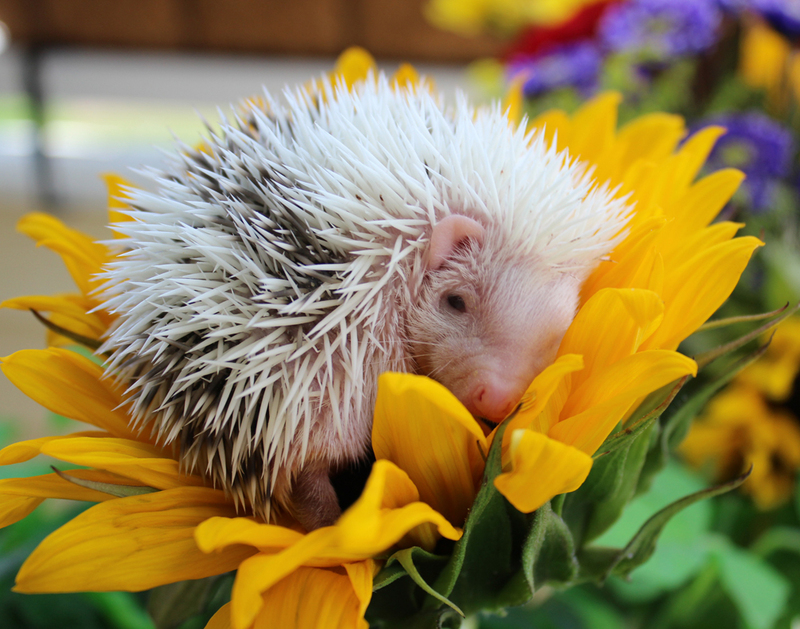 I am a USDA licensed hobby breeder of the White Bellied African Pygmy Hedgehog, located in Bremerton, Washington. 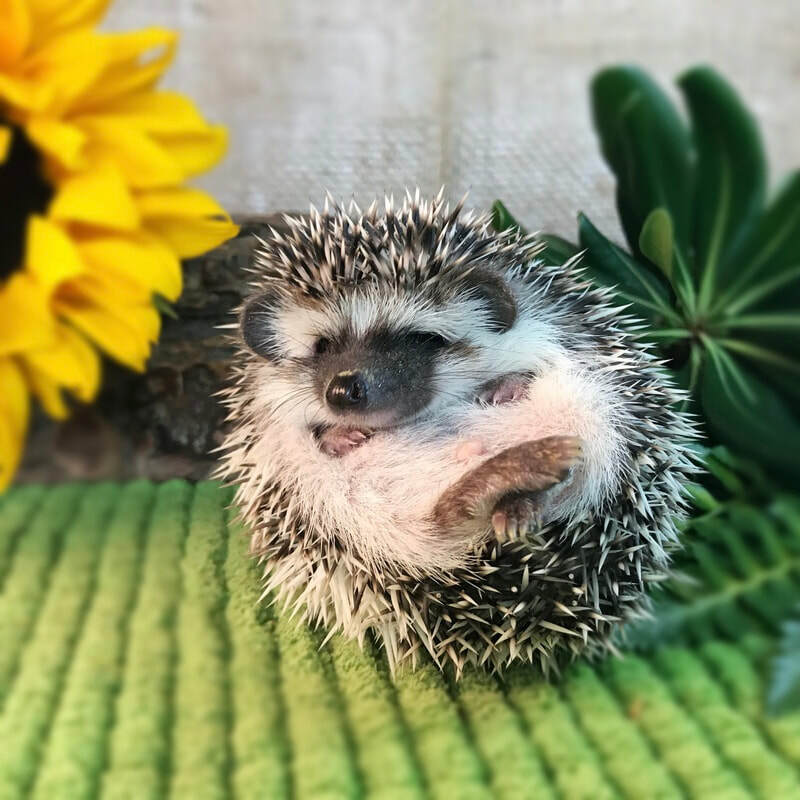 My goal is to breed healthy hedgehogs with great personality. Hedgehogs should be friendly and easy to handle. To achieve this, I handle my hedgehog babies as early as Mom allows me to. I offer support to all new (and not so new) hedgie owners throughout the hedgies lifetime. Many future hedgehog owners ask how they get long with other pets. In most cases, honestly, the hedgehog does not really care. It is your other pets you should think about. How do they do around other, smaller animals? I have 2 cats and a dog, and they get along fine. Be advised though, that even the friendliest dog or cat, can turn in a split second. Never leave your Hedgie unattended when both are running freely in the house! ***Bumble Bee Hedgies reserves the right to refuse a sale to anyone, and for any reason, if it is believed that the potential buyer is not a good fit for a hedgehog available for sale! **Pictures of this website may not be copied or shared/posted without written permission by Bumble Bee Hedgies. Not all Breeders will allow you to see their herd and allow you to handle their animals before you paid a deposit. The following breeders will. A big THANK YOU to Edith from Victorino's Hedgehog Garden for being s﻿uch a great mentor. As the largest breeder in WA State, Edith amazes me with her dedication to her herd and all the work she does. Her herd has grown so large mostly, because she does not re-home her retired hedgies, but cares and nurtures them until the end. Another excellent breeder of these adorable Creatures. Nikki always keeps up with the newest finds in care and nutrition. If you live close to Oregon, give her a call! Rebekah is a smaller but also experienced breeder, with a variety of colors and facial markings.